The summer months continue to be the most popular months in which to marry, and for good reason. The weather's great, the flowers are in bloom, and the beaches are inviting. And, with the increasing popularity of destination weddings, top summer vacation spots are also becoming top summer wedding spots. Where might you consider saying "I do" to a summer wedding? The Islands of the Bahamas is a 100,000-square-mile tropical paradise that claims more than 700 islands and 2500 cays and lies a mere 50 miles off the Florida coast. Once called the "Isles of Perpetual June" by George Washington, the Bahamas is blessed with a tropical climate that makes it a year-round eloping and wedding destination. Searching for a unique and exotic place for your summer wedding? 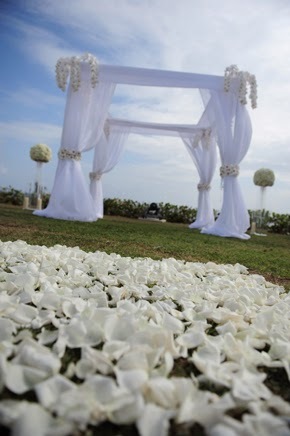 Why not consider a Cayman Island wedding? Located in the western Caribbean Sea, the Cayman Islands consist of Grand Cayman, Cayman Brac, and Little Cayman. Why would you want to consider a Cayman Island wedding? Consider this: Seven Mile Beach, located on Grand Cayman, is considered by many as one of the best beaches in the world. And, if you or your fiance' are into scuba diving, the Cayman Islands is also considered the world's best scuba diving destination. 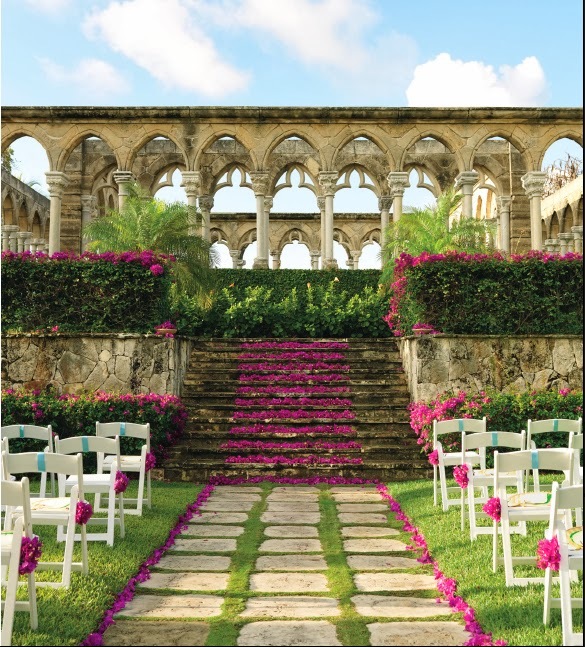 All this adds up to the Cayman Islands being one of the best spots for a Caribbean wedding. 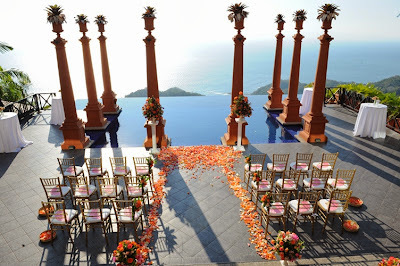 When you think of a wedding in Costa Rica you probably think of beautiful beaches and romance. And you would be right. With almost two thirds of Costa Rica's borders consisting of coastline, Costa Rica is the perfect place for a beach wedding. But what you probably don't know is all the other wonderful locations in Costa Rica to say "I do," such as the Monteverde Cloud Forest, Tabacon Hot Springs and the foot of the Arenal Volcano. You may also want to check out the La Paz Waterfall Gardens, another spectacular place for a wedding. 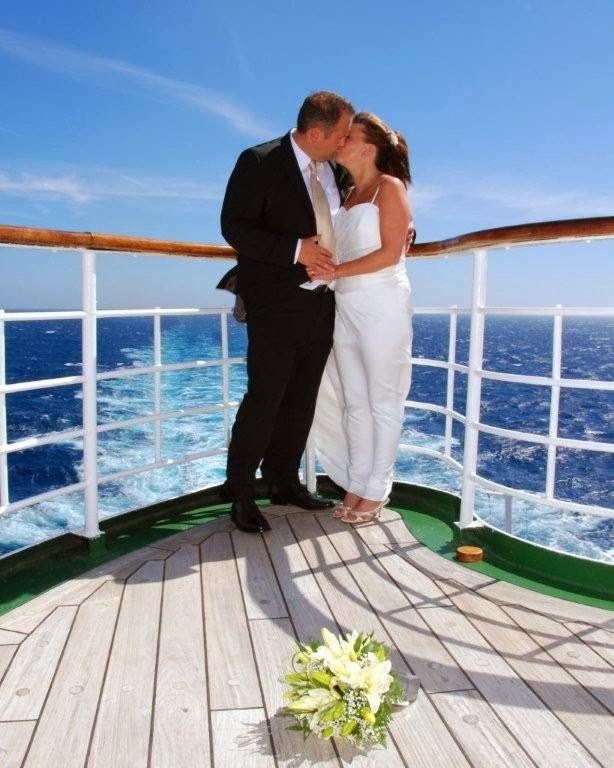 Cruise ship weddings are tailor-made for destination weddings or couples wishing to elope. You can get married and instantly begin your honeymoon cruise. How cool is that? Some ships even have on-board wedding chapels, or you can decide to get married before boarding the cruise, or get married at one of the ports of call. For example, if you choose a summer Alaskan cruise, you could get married on top of a glacier at one of your ports of call. California's wine country is a perfect choice for a summer wedding. One fun wedding idea is to get married on the Napa Valley Wine Train, a three-hour round-trip rail and gourmet dining adventure from the town of Napa to St. Helena. Of course, while many automatically think of Napa Valley when they think California wine country, there are many different wine regions from which to choose, such as Paso Robles, Santa Barbara County and Sonoma County to name just a few. While not very well known outside California, Paso Robles is one of California's fastest growing wine region, with nearly 26,000 vineyard acres and more than 170 wineries within a 40-mile territory. Not only that, but it's a beautiful area to boot. And, you avoid the crowds of Napa Valley. 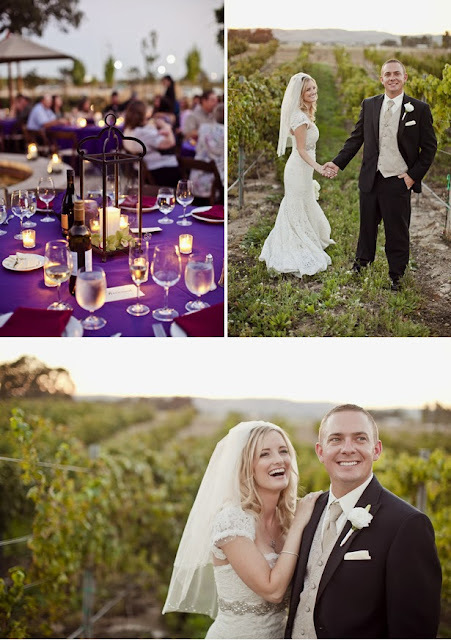 A couple wineries to consider in Paso Robles for your wedding are Meridian Vineyards and Zenaida Cellers. While Colorado is great for winter weddings, it's also perfect for summer weddings. The Pike's Peak area is just growing more and more popular as a top destination wedding spot, whether you get married in a castle in Manitou Springs or on top of 14,110-foot Pikes Peak itself! One favorite wedding spot is Seven Falls, in South Cheyenne Canon, often referred to as the "Grandest Mile of Scenery in Colorado". And, grand it is. Seven Falls cascades 181 feet in seven distinct steps down a solid cliff of Pikes Peak granite, making it a popular spot for couples to tie the knot. You can host a wedding of up to 150 people at Seven Falls, although they do not have reception facilities and alcohol is prohibited. Vancouver Island - Vancouver, B.C. Known as "Canada's Paradise on the Pacific," Vancouver Island is known for its beauty - lush rainforests, beaches, rocky shorelines, incredible vistas - as well as the "quintessentially-British" city of Victoria, with its high teas, double-decker buses and horse-drawn carriages. A wedding here will certainly give couples a wide range of experiences. As for your summer wedding venue, you have many outstanding choices on Vancouver Island. Do check out the Sooke Harbour House on Whiffen Spit Beach, which offers weddings on the beach and in gardens with 180 degree Pacific Ocean views. Sooke Harbour House has the distinction of winning the Wine Spectator Grand Award for 2006, offering one of Canada's five best wine lists. For smaller, more casual weddings, you can arrange to hold your ceremony in public parks on Vancouver Island. Several popular public parks in Victoria for weddings include Laurel Point Park, Stadacona Park and Beacon Hill Park. You must receive a permit, and can call 250-361-0628 for more information.